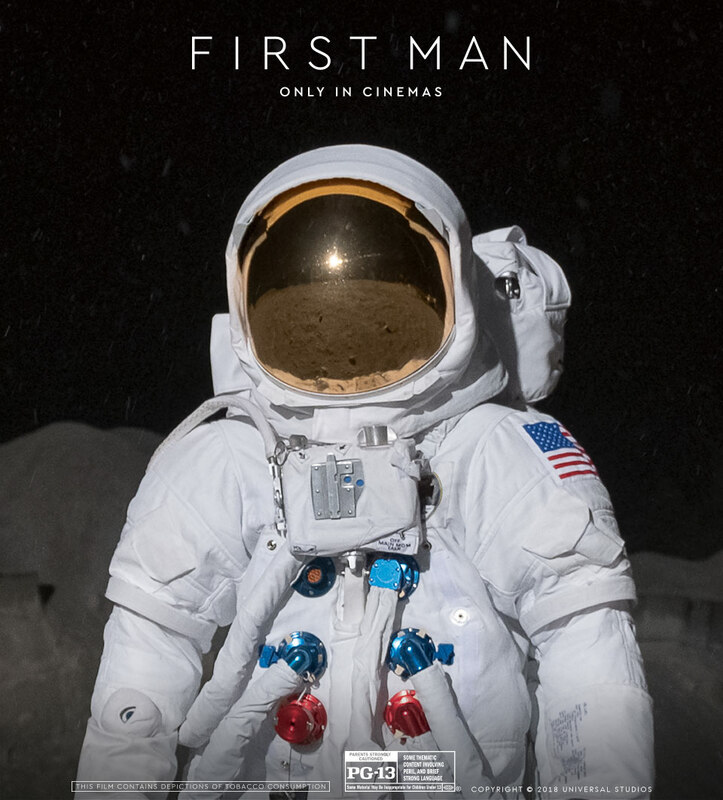 OMEGA has an unrivalled legacy of space exploration and the production team behind the film First Man, only in cinemas, correctly placed the brand’s timepieces on the wrists of the Apollo astronauts and others. 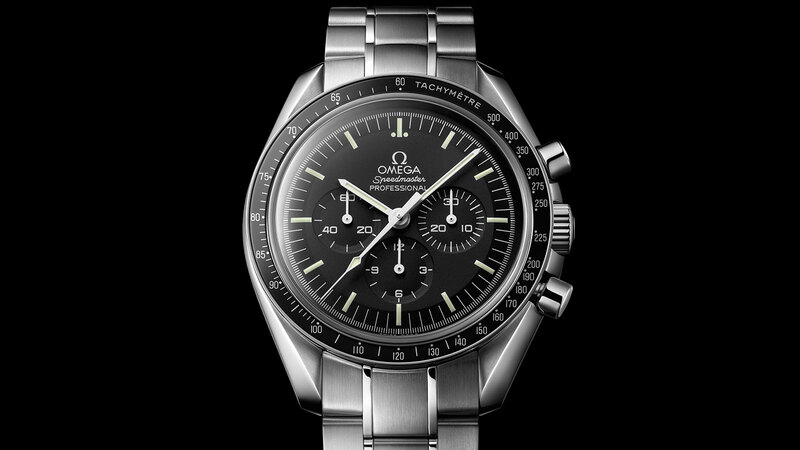 "…the timepiece became known as The Moonwatch, the first watch worn on the Moon." 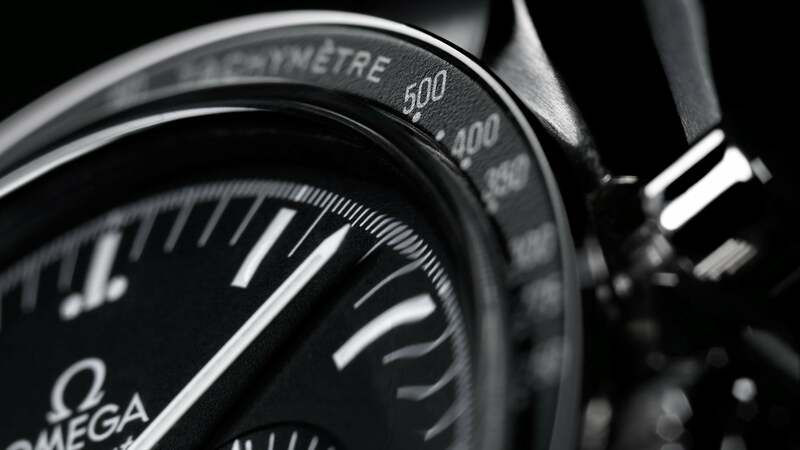 With its black dial and tachymeter scale, this 42 mm chronograph was designed to stand out. The indexes and central hour and minute hands are coated in Super-LumiNova. 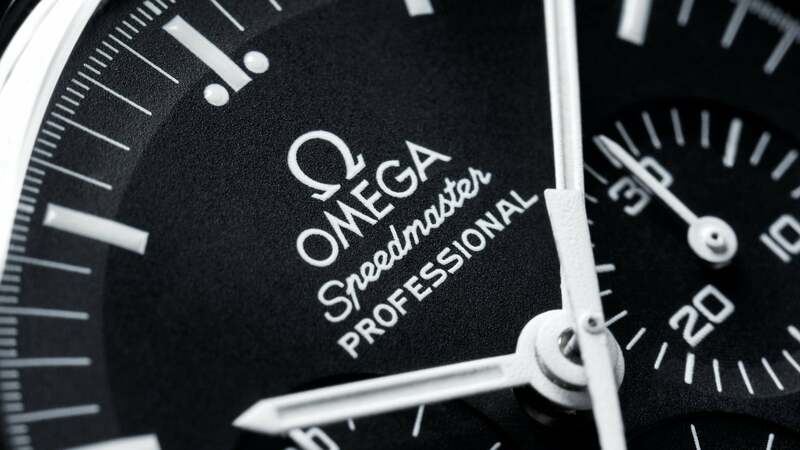 A hesalite crystal protects the dial enhanced with a 30-minute recorder, 12-hour recorder and small seconds sub-dial. 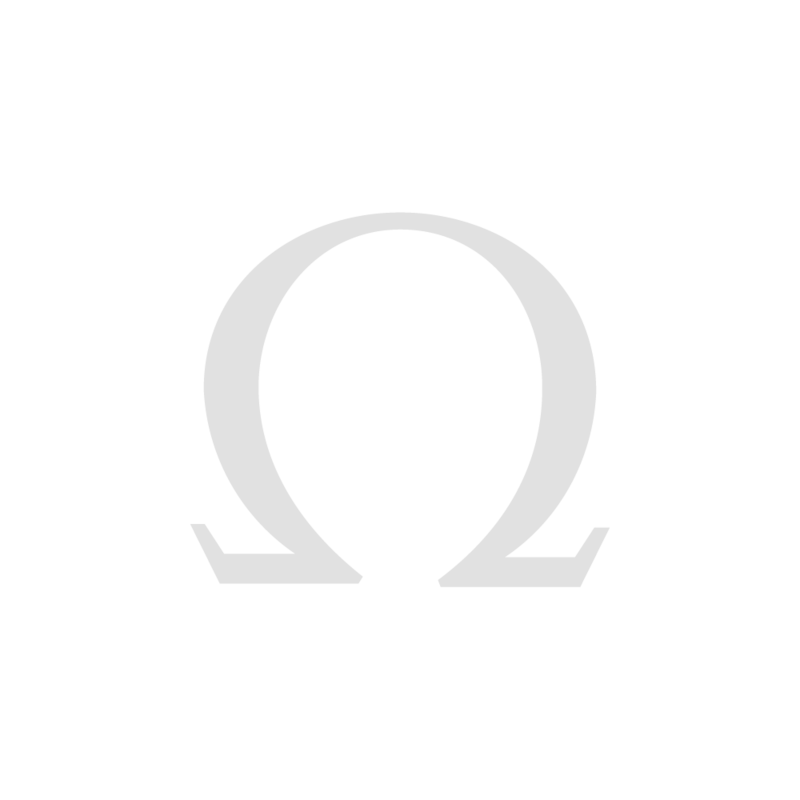 The stainless steel case is presented on a matching bracelet or a black leather strap. 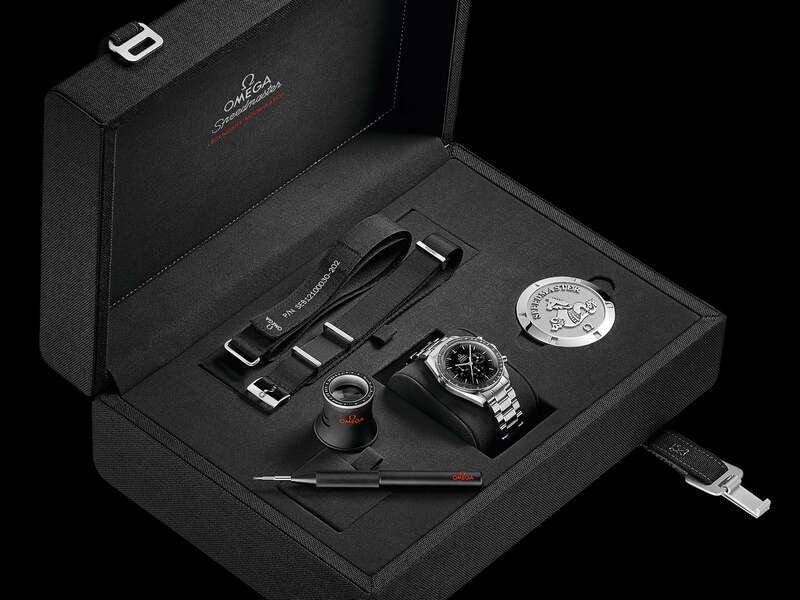 Each of the four timepieces in this family is offered with a special presentation box which includes two additional straps - a “NATO” strap and a strap for astronauts. 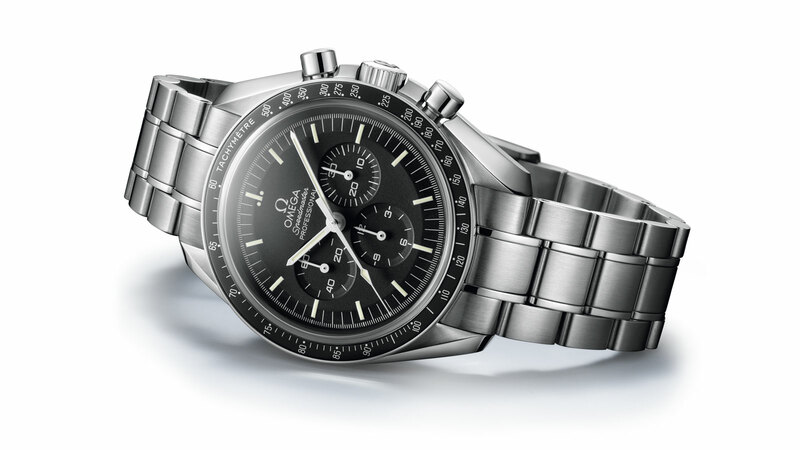 A tool to change the bracelets and instructions for how to do so are also included along with a Speedmaster loupe, a metal plate and a book highlighting the adventures of the Speedmaster. 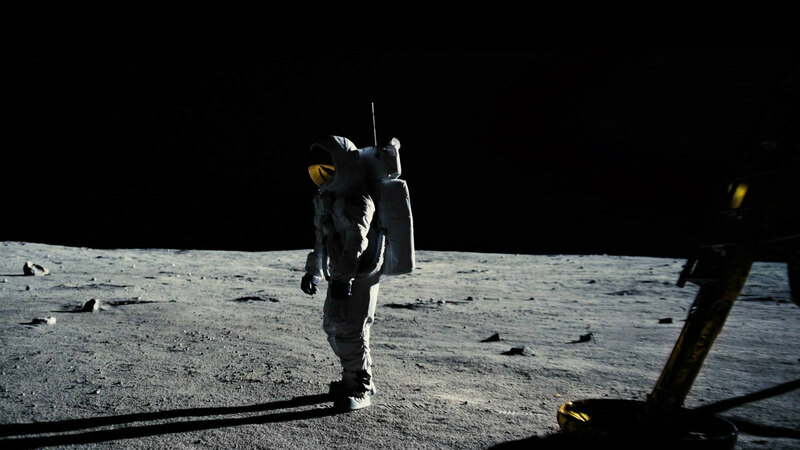 EARNING A NICKNAME: "WE CHOOSE TO GO TO THE MOON…"
President John F. Kennedy’s challenge to send an astronaut on the Moon was particularly audacious considering that when he first voiced it, only one American had been in space for a grand total of 15 minutes and 28 seconds. 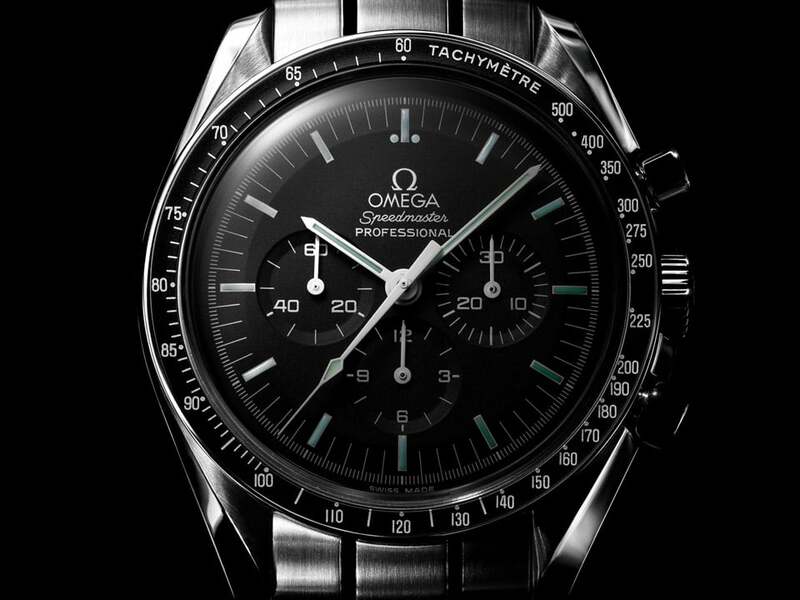 When Buzz Aldrin stepped onto the lunar surface in July of 1969, the OMEGA Speedmaster Professional earned its distinctive nickname, The Moonwatch. 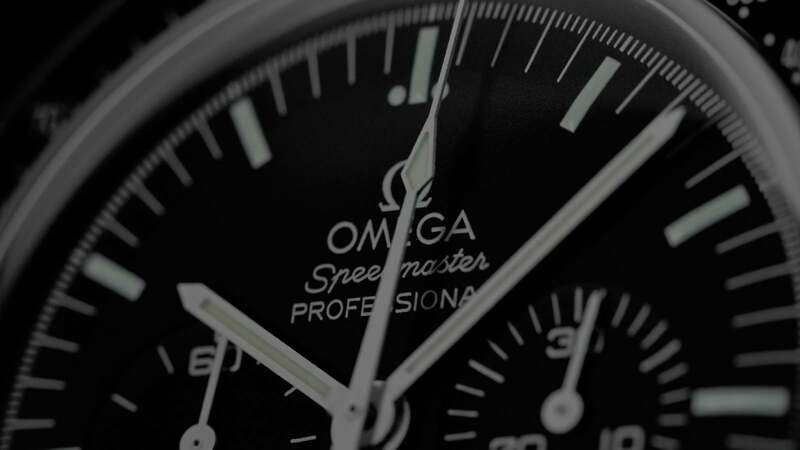 "Since its introduction in 1957, the Speedmaster has been characterized by its precision, readability and robustness"
Since its introduction in 1957, the Speedmaster has been characterized by its precision, readability and robustness. Until 1968 it was powered by the calibre 321 which was later changed to calibre 861. 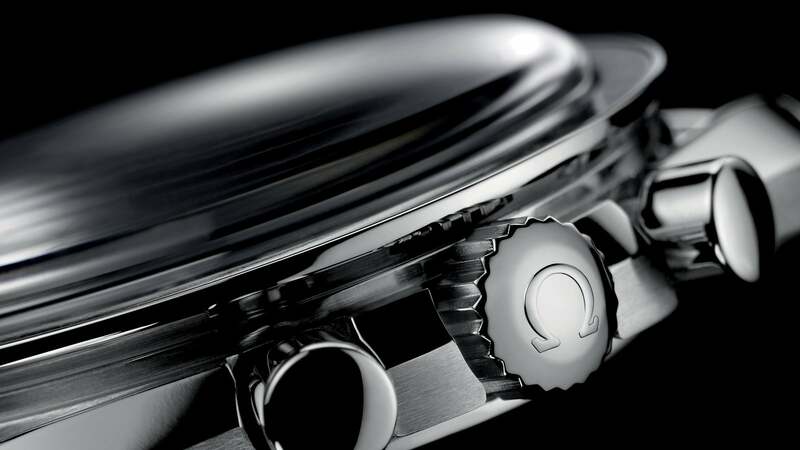 This was replaced with an enhanced version when OMEGA introduced a high-grade rhodium-plated finish on the movement, resulting in calibre 1861 and the more embellished 1863, both of which are hand-wound. Today, the timepiece is powered by virtually the same hand-wound movement that powered the timepieces NASA’s astronauts wore on the Moon.